Scroll down for the new listings of homes for sale in Garden Ridge, TX. 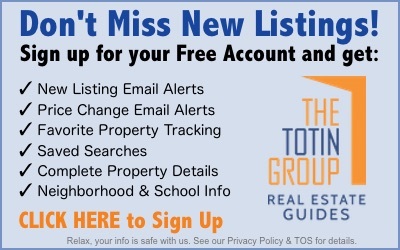 Use the Advanced Search feature to search all listings in the 78266 zip code. Garden Ridge, a bedroom community just 20 miles north of San Antonio TX, attracts highly educated white-collar professionals who desire an idyllic small-town feel. Homes for sale in 78266 could range from a few Mid-Century Modern ranch homes dating from the area’s first 1960s-era subdivision, to the latest planned communities of new luxury homes. The median property value of Garden Ridge homes in 2015 was over $471,000. Homes for sale in Garden Ridge attract a highly educated population—virtually 100% of city residents are high school graduates, and over one third have a graduate or professional degree. Garden Ridge TX boasts nearly 4,000 residents, with an estimated median household income of over $128,000, with the most common occupations being management, education, and training. Garden Ridge is served by the Comal Independent School District (CISD). The city, incorporated in 1972, is one of the fastest growing in South Texas. Garden Ridge sits at the intersection of Natural Bridge Caverns Road and Farm To Market Road in Comal County. Garden Ridge TX is located near Route 35 and Hwy 1604, and is an easy 20-minute drive from Randolph AFB, making the community an attractive option for anyone looking for homes for sale in north San Antonio 78266. Contact the Exclusive Buyer Agents at The Totin Group, eXp Realty, at (210) 872-8888 to help guide you through the home-buying process. Get the benefits of working with your own Realtor--but usually at no out-of-pocket cost to you, because the seller pays our fee. The 10 newest listings of homes for sale in Garden Ridge are shown below. Use the Advanced Search feature to search all listings in this desirable community outside of San Antonio, Texas.